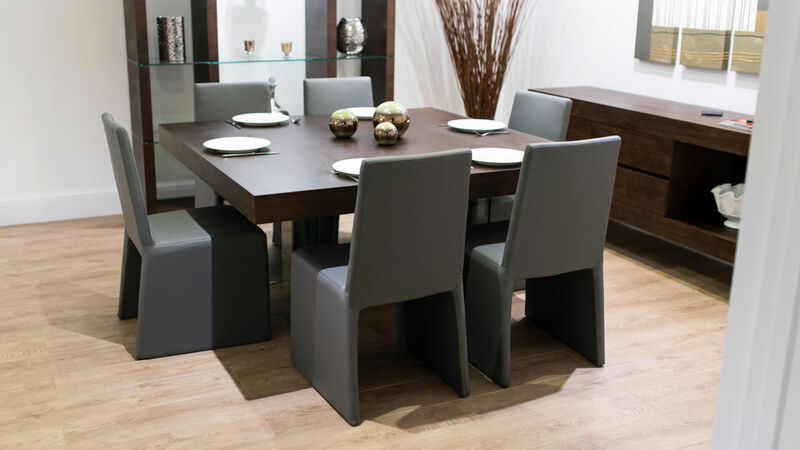 The ultra modern Aria Espresso Dark Wood Square and Rimini Dining Set is a funky and very unusual dining set, ideal for those who wish to stand out from the crowd. 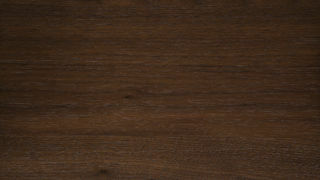 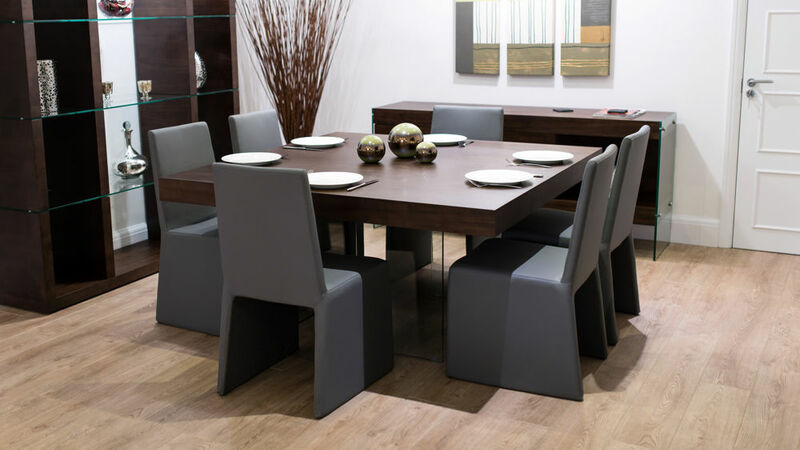 The trendy Aria Espresso Dark Wood Square Dining Table is dark and warm with a wooden veneer table top which is a chunky 10cm thick. 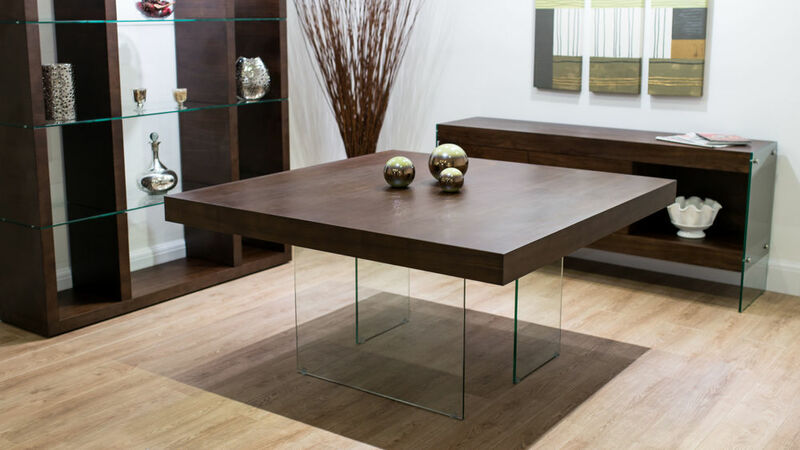 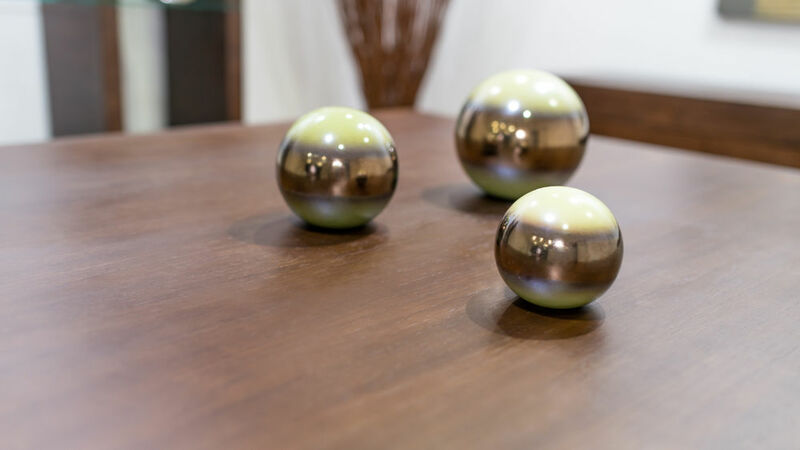 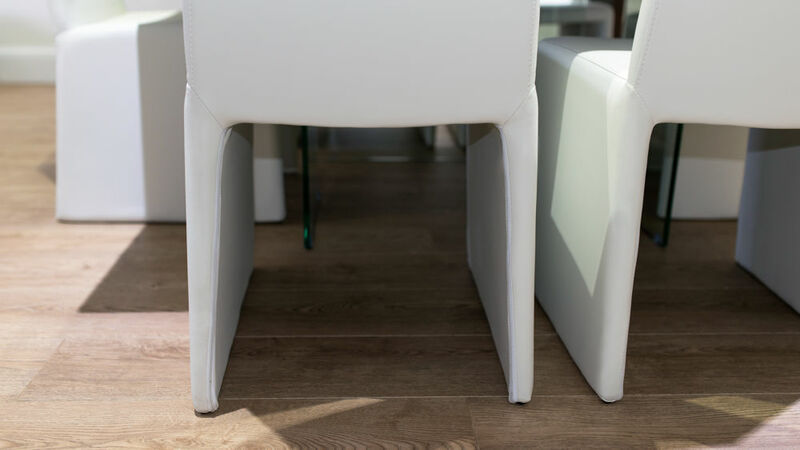 The large square table top is set upon 12mm thick, designer clear glass legs which are sturdy and durable and have been certified to BS6206. 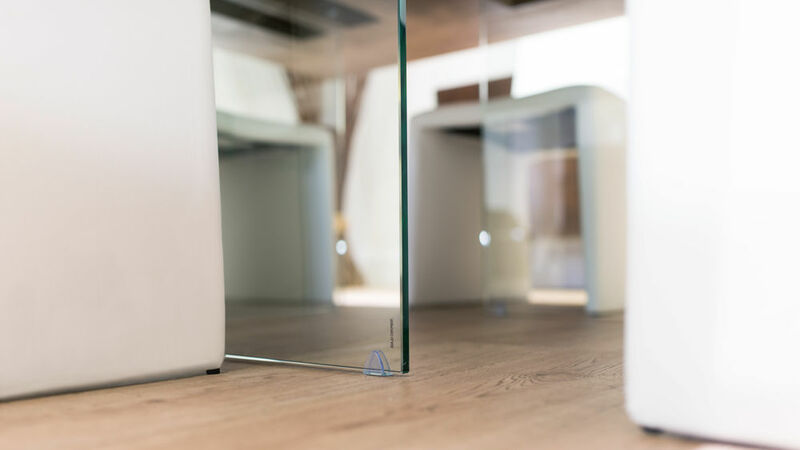 One of the funky glass legs runs across the width of the dark wood square table at one end and the other two glass legs are situated at either end. 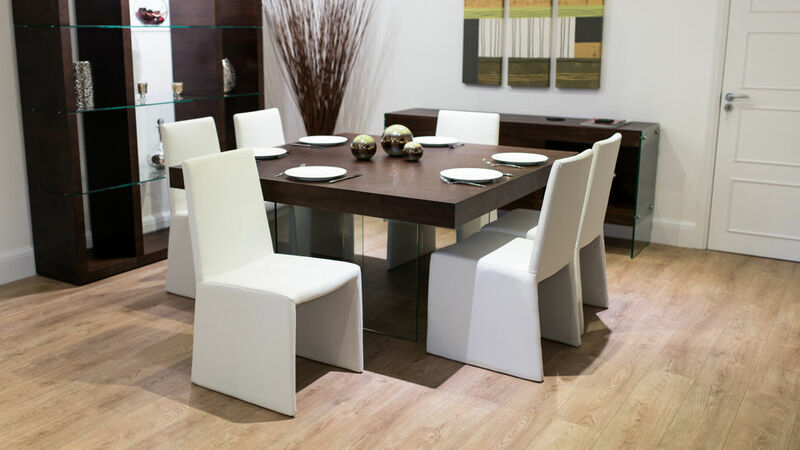 This modern dark wood square dining table comfortably seats 6 to 8 people. 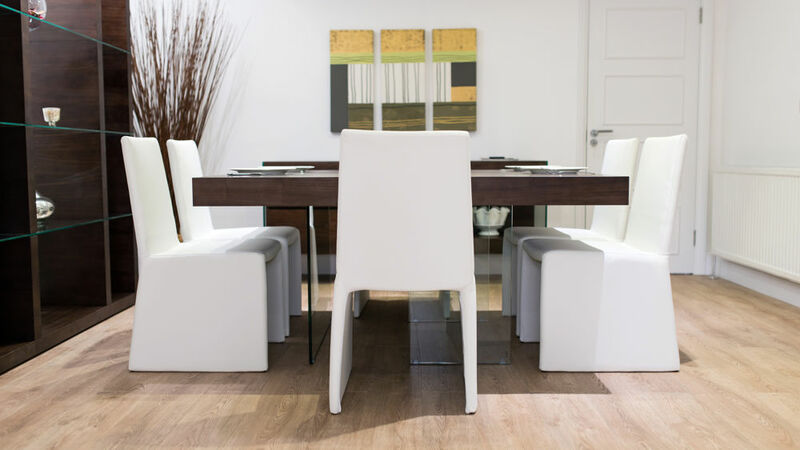 The Rimini Dining Chairs really stand out from the crowd with their trendy, boxed in shape and tactile, soft faux leather upholstery. 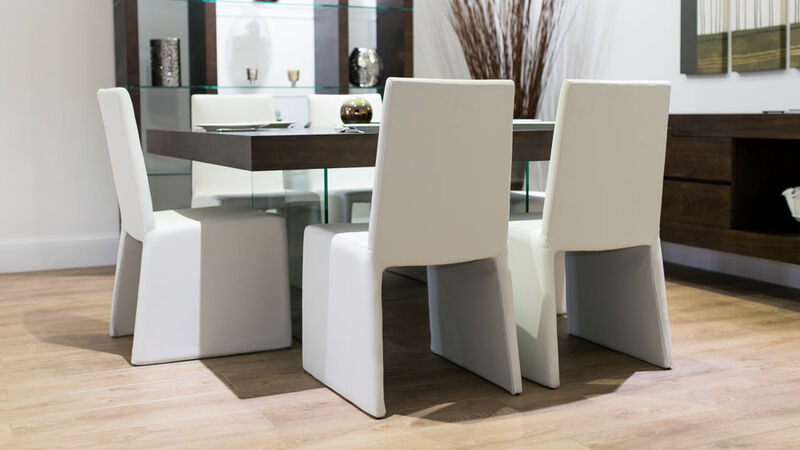 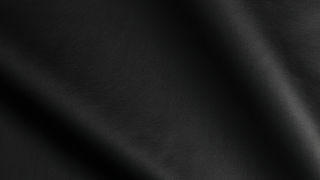 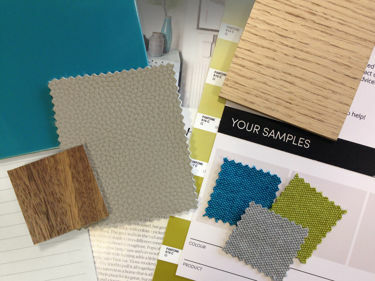 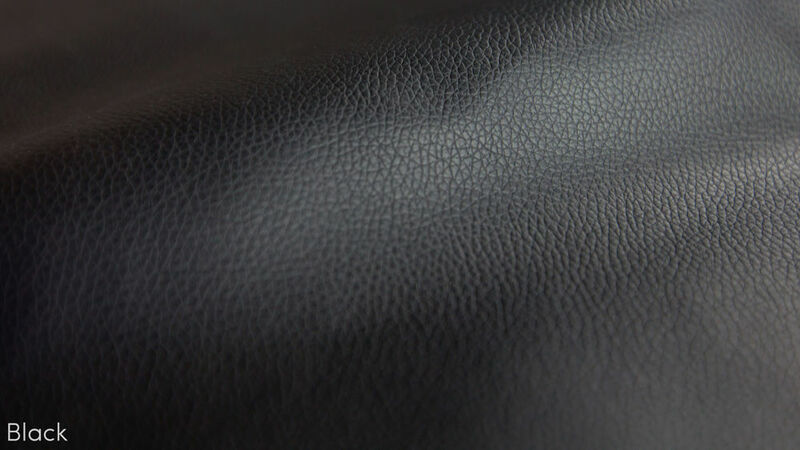 They are available in fashionable White or trendy Putty Grey Faux Leather. 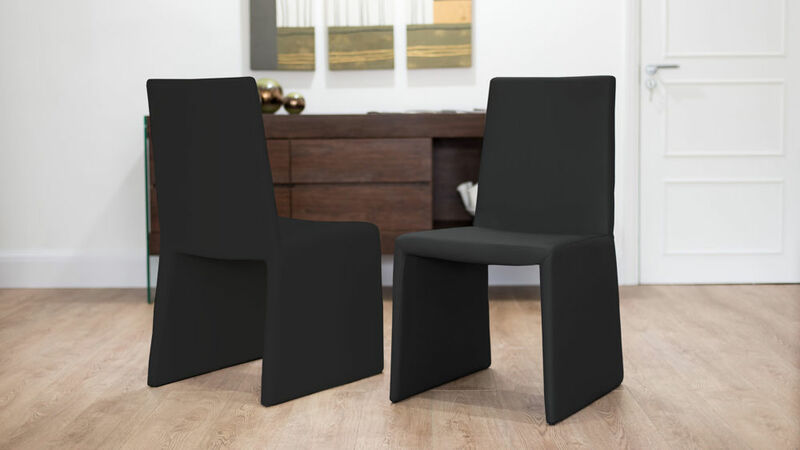 The sturdy metal frame is fully upholstered and lightly padded on the seat to create a stunning and eye-catching dining chair.